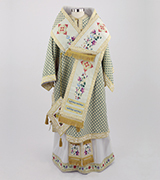 Green and gold woven episcopal vestment with floral accents. 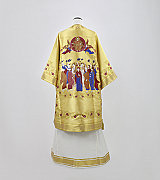 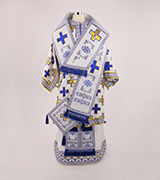 Gold, royal blue, and white woven episcopal vestment with cross designs. 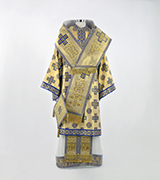 Gold woven episcopal vestment with sapphire accents.